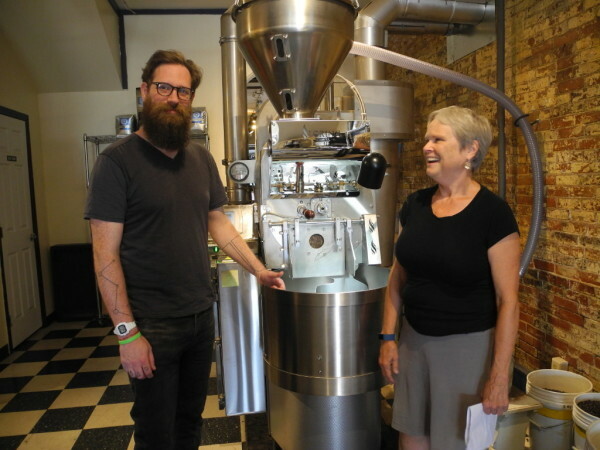 Susanne Ward, owner of Rock City Coffee Roasters and Rock City Cafe, is looking forward to transitioning the company's business model to that of an employee-owned cooperative. 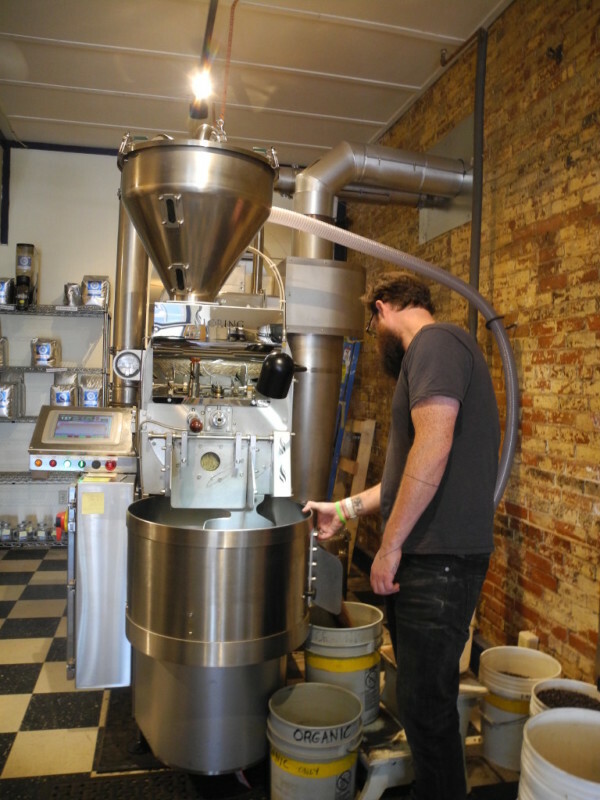 Kevin Malmstrom, the head coffee roaster, will be one of the owners when the transition is complete by the end of this year or the beginning of 2017. "I feel really good about it," Ward said. "I think it's the best solution I can come up with." 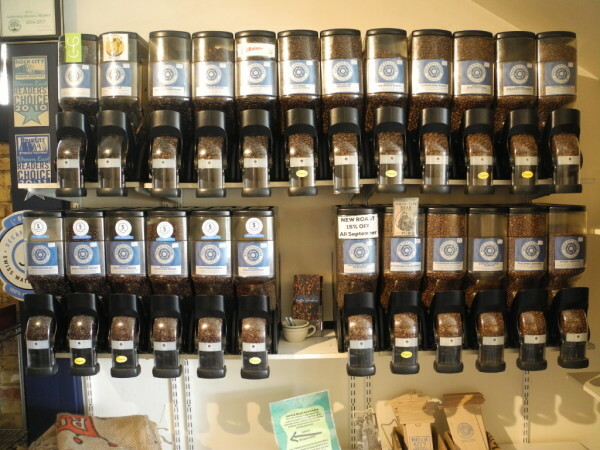 Some of the coffees roasted and sold at Rock City Coffee Roasters in Rockland. The business will transition from being owned by one person, Susanne Ward, to being cooperatively owned by about a dozen employees. Rock City Coffee Roasters head roaster Kevin Malmstrom checks the new, state-of-the-art roasting machine that was installed this spring. When the company transitions from single ownership to being an employee-owned cooperative, Malmstrom will be one of the employee owners. "It's a really great opportunity," he said. ROCKLAND, Maine — Susanne Ward, owner of Rock City Coffee Roasters and Rock City Cafe in downtown Rockland, describes herself as something of an accidental businesswoman. But what she and her late husband started 24 years ago as a small used bookstore and coffee shop in Rockland — a then-struggling city that had many shuttered storefronts — has survived, thrived and grown. Now she runs a bustling cafe that acts as a community hub and a separate roasting facility and store that is redolent with the rich aroma of coffee beans. Her businesses employ an average of 25 employees year-round, and more than half of them are full time. All of that is why Ward, 65, wants to be very careful about how she plans for the future and why she is on track to transition the business model from single ownership to being an employee-owned cooperative. In a few months, she said, she’ll be one of about a dozen employee-owners — and that’s just what she wants to be. When the ink is finally dry on the legal paperwork for the new corporation and the deal is done, the two Rock City coffee businesses will join a growing number of Maine companies that have moved to an employee-owned model. They are as diverse as GAC Chemical in Searsport, which switched last year to an employee stock ownership plan, or ESOP, and the Stonington Workers Co-op, the 40-member largest worker-owned cooperative in the state, which runs three businesses: Burnt Cove Market, V&S Variety and Pharmacy and The Galley Grocery. Turning ownership of companies to employees is one way to ensure a business remains intact, according to Rob Brown of the Cooperative Development Institute. That is critical in Maine, a rural state with the oldest population in the country. Ward said that before she and her husband, Patrick Reilley, opened what was then called Second Read Books and Coffee, there wasn’t anywhere like it in the coastal city, which was still in the throes of the early 1990s recession. They had moved to Maine from California and missed having bookstores and coffeeshops to go to, so they decided to try running one themselves. Ward, who has a master’s degree in literature, was mostly interested in the bookstore part but was willing to give the coffee business a shot. The business, of course, had challenges, as well as a name change to Rock City Books & Coffee in 2005. 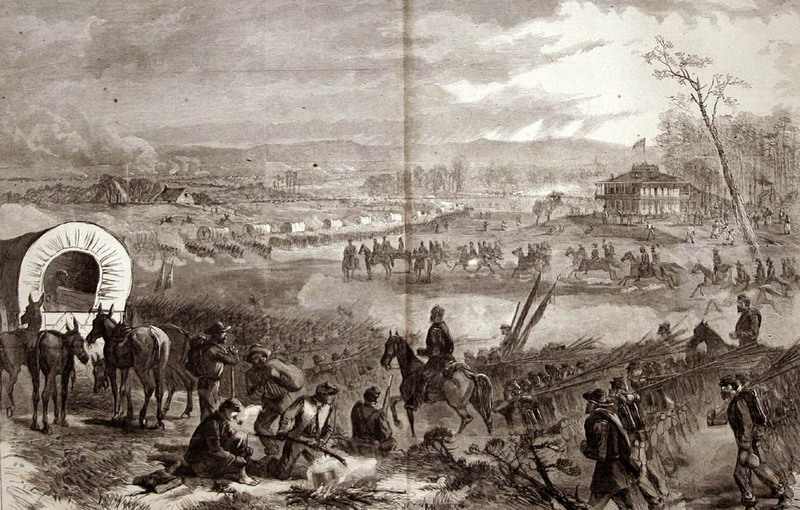 In 2007, there was a complaint that the smell of roasting coffee was offensive to the neighborhood, and Ward and Reilley began a long process of working to curtail the aroma. In 2008, when the Great Recession hit Maine, the business “took a nose dive,” she said, and they had to dump their own money into it to keep it alive. And in 2010, Reilley died of cancer, leaving Ward a widow and a sudden sole-business owner. After that, she sold the bookstore to one of her employees and focused on the coffee-roasting and the cafe. Even then, it hasn’t always been simple. Last fall, the company launched an effort to raise $80,000 to buy a state-of-the art coffee roaster that has virtually eliminated the emissions that have continued to spur complaints by neighbors. That goal was surpassed in February after an outpouring of community support. Over the years, Ward has found out that many small business owners have a similar learning curve. Most people go into business because they have a product, a service or a skill that they love and want to offer people — not because they know how to make a profit. Now that her businesses are in good shape, she would like to make sure that they will go on even after she retires. The co-op model is a great way for her to do that, she said. Employee-owners at Rock City will participate in profit sharing, meaning that profits at the end of the year will be shared according to the number of hours an employee works. Profit sharing doesn’t necessarily mean money will be taken out of the business — there will be loans to repay and capital improvement projects to do — but it does mean they will keep building their equity in the business. Kevin Malmstrom, Rock City’s head roaster, is one of the employee-owners and also thinks it’s a great idea. “I just think it’s a good way to keep the business going in the direction it has been going,” he said. Jared Paradee, a production manager, agreed.